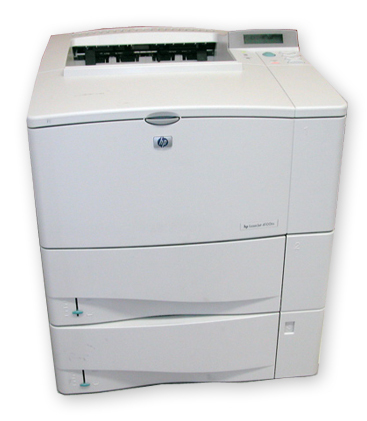 If it is nothing besides the most affordable cartridges for HP LaserJet 4050-tn printers you are hunting for, it's obvious who the easy choice is. With us you'll never see anything other than top class toner cartridges. So for the entire range of toners confirmed to be compatible with your LaserJet 4050-tn laser toner printer, choose Cartridge Save. Here at Cartridge Save we won't skimp over customer support and also the first-class quality of our HP printer toner cartridges. You can get complimentary delivery on anything bought at Cartridge Save. Should you place an order today, your cartridges should be delivered tomorrow. Have total satisfaction if you place an order from us thanks to the extensive cash-back guarantee. If you happen to have complications using your HP LaserJet 4050tn toner inside 12 months after purchase just post it to us for a full cash back. Find the best laser toner cartridges at a reduced price with Cartridge Save!